I stopped buying boxed pancake mix as soon I realized how ridiculously easy making your own were. 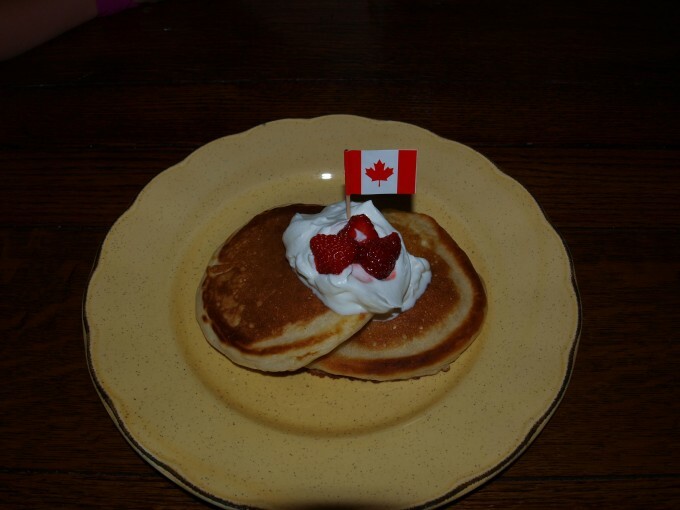 We made these for Canada Day this morning so that we could douse them with liquid gold….maple syrup. Stir dry ingredients. Add slightly beaten egg. Stir in milk until desired consistency. Should be thinner for pancakes. Any leftover mix can be store in refrigerator for 2 to 3 days. Just add milk to thin.